Did you witness a robbery in Eastleigh? A man in his 30s was walking on Lawn Road some time between quarter past midnight and half past midnight on Saturday 13 April when two young men demanded his wallet and phone. The victim was then struck over the head with an item described as a glass bottle, leaving him with cuts to his head, before he handed over his wallet. One of the men was described as white, aged 16-19 years, 5ft 6ins – 5ft 7ins tall, slim, and wearing a dark coloured hooded top with a white trim, and dark-coloured trousers. 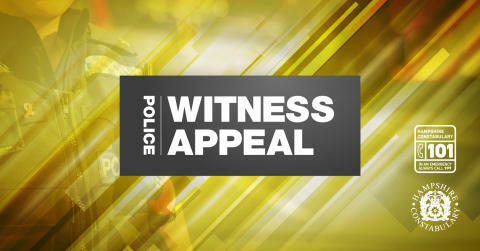 The second man was described as white, slim, aged 16-19 years, 5ft 4ins – 5ft 5ins tall, wearing a dark-coloured top. Both men left the area on foot in the direction of St Catherine Road. Officers would like to hear from anyone who witnessed the incident or saw two men matching this description in the around this time. Anyone with information is asked to contact police on 101, quoting 44190127359, or call the charity Crimestoppers anonymously on 0800 555 111.